Salaspils concentration camp was established at the end of 1941 at a point 18 km southeast of Riga,in the country of Latvia. The Nazi bureaucracy drew distinctions between different types of camps. 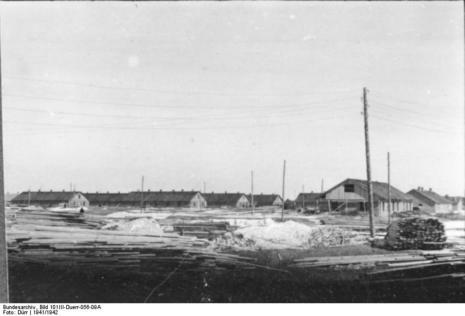 Officially, Salaspils was a Police Prison and Work Education Camp (Polezeigegfängnis und Arbeitserziehungslager). It was also known as camp Kurtenhof after the German name for the city of Salaspils. Planning for the development of the camp and its prisoner structure changed several times. In 1943, Heinrich Himmler briefly considered briefly converting the camp into an official concentration camp (Konzentrationslager), which would have formally subordinated the camp to the National Security Main Office (Reichssicherheitshauptamt or RSHA) , but nothing came of this. In October 1941, SS-Sturmbannführer Rudolf Lange began planning a detention camp to be built at Salaspils to confine people arrested in Latvia by the police and also to house Jewish people deported from Germany and other countries to Latvia. Lange, who originally was the coordinator of Special Assignment Group A (Einsatzgruppe A), a mobile squad of killers, started a new job in December 1941 as commander of both the security police (Sicherheitspolizei) in Latvia and also of the Security Service (Sicherheitsdient). The place selected, near the city of Salaspils, was readily accessible from the main railway connecting Riga and Daugavpils, the two largest cities in Latvia. The plan was to work the prisoners harvesting peat and also, as part of what soon became known as the Final Solution, to separate Jewish men from Jewish women to prevent them from having children. In February 1942 Lange, probably because of his deeds in Latvia, became a participant in the Wannsee Conference where the final plans for the murder of the Jews of Europe announced by the Nazi hierarchy. The building of Salaspils concentration camp finished in September 1942. In the beginning it was used for imprisonment of mainly Latvians and Slavic people. 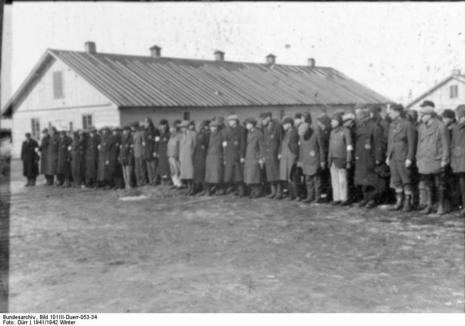 In March 1943 there were 1990 prisoners in Salaspils concentration camp. Partly it served as a transit camp for people who waited for judgement or for imprisonment in the Central Prison of Riga. Usually, there were also people from Belorussia imprisoned who were going to Germany. In Salaspils concentration camp about 7000 people of various nationalities were killed and martyred.